Taiwan’s east is known for breathtaking scenery. Our Eastern Beauty Tour brings you to well-known scenic spots and hidden gems alike. Day 1: Enjoy the crescent bay and clear blue waters of the Pacific Ocean at Qixingtan Beach. Day 2: Hike in Sanxiantai, whose long arched footbridge connects the rocky coast with a neighboring island. Day 3: Walking or cycling in Taitung's Forest Park. Day 4: Bicycle ride through the rice paddies of the Chishang Bicycle Trail. Day 5: Head to Taroko Gorge and explore the place some call Taiwan's Grand Canyon. Taiwan’s east is known for breathtaking scenery. Our Eastern Beauty Tour brings you to well-known scenic spots and hidden gems alike. Along the way we’ll experience awe-inspiring scenery (including Taroko Gorge and the Rift Valley), visit the villages of indigenous tribes who’ve called this land home for thousands of years, eat amazing meals and have plenty of opportunities for leisure and outdoor activities including hiking, boating and bicycling through the awe-inspiring terrain for which the area is justly known. In between the bucolic splendor, we’ll also make time to explore Hualien and Taitung, two of the east coast’s largest cities. Though equally laid back, both cities boast their own unique cultural caches. On day three we’ll visit a most unusual museum, one made not of brick and glass but of interconnected trees, part of a forest preserve maintained and protected by members of the local Bunun tribe. We’ll learn about the lives and cultures of SE Taiwan’s indigenous peoples, enjoy tribal cuisine, and even do a bit of tree climbing ourselves. Afterward, we’ll head back to Taitung city to chill out and explore. On the last day of our Eastern Beauty Tour, we'll head to Taroko Gorge and spend some time exploring the place some call Taiwan's Grand Canyon. We'll drive along a picturesque road quite literally carved into the canyon walls, stopping for lunch with a marvelous view, visit a temple, shrine or waterfall, and even take a brief hike into the gorge itself. After gorging ourselves on scenery, we'll head back to the coast for the final leg of our Eastern Beauty Tour - a spectacular evening drive back up the eastern coast. Experience indigenous life and climb the trees in the "Luan-Shan forest museum"
I recommend MyTaiwanTour without hesitation. While in Taiwan, my daughter and I wanted to visit some places on the East coast (Hualian, Taroko National Park, Taitung, and more) that weren't that easy to navigate via public transportation. MyTaiwanTour arranged a great muilti-day itinerary. Our guide, Tai, spoke excellent English, was great at safely navigating the winding roads, and was very knowledgeable about the history and culture of the area. He asked about our interests, and led us to attractions that weren't in my guidebooks, the best scenic vistas, and the interesting local restaurants. I recommend MyTaiwanTour without hesitation. I highly suggest using MyTaiwanTour if you are coming to visit Taiwan! My wife and I came to Taiwan for our honeymoon. She is Taiwanese and I am American, so for her the in and out of Taiwan was no big deal, but for me it was a bit of an adjustment. We joined the 5 day east coast tour after being in Taiwan for a week already and I was a bit nervous about riding in a car for another week to areas that are much less "big city" than Kaohsiung and Taipei. Within 5 minutes of getting in the car with our tour guide Gordon, I felt much better. He is super nice and very knowledgeable of everywhere we went. The car was very smooth (Camry hybrid) and Gordon put my mind (and car sick prone stomach) at ease. The different sites we visited were very scenic and he was always offering to take our picture everywhere possible. He was also very attentive to our preferences. I don't like seafood, so he always proactively suggested different restaurants and made sure the restaurant staff knew what I wanted. The hotels were great, we paid for the 5 star upgrade, which I HIGHLY suggest. Gordon was always on time and always made sure we got settled in our room before parting ways every day. When our tour ended and Gordon left, I was bummed because we lost our travel partner! 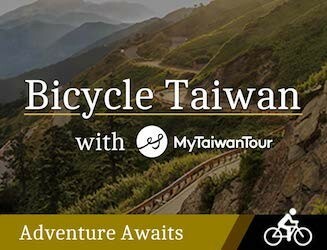 I highly suggest using mytaiwantour if you are coming to visit Taiwan! Fabulous Five Day East Coast Nature Tour We had an amazing time travelling through Taiwan's natural beauty! Every day brought beautiful food and authentic local experience. Our guide Gordon was professional, polite and a pleasure to travel with. We had the trip of a lifetime. We had the trip of a lifetime. We had an amazing time travelling through Taiwan's natural beauty! Every day brought beautiful food and authentic local experience. Our guide Gordon was professional, polite and a pleasure to travel with. We had the trip of a lifetime. 58 people have browsed this in the last week.